General correspondence, statistics, memorandums, conference information, legal forms, and meeting minutes concerning the State Board of Public Welfare and the Committee on the Study of Aging. North Carolina State Board of Charities and Public Welfare. North Carolina. Department of Social Services. Collection is open for research. Records are stored offsite and require additional time to pull. Access to these records on Saturdays requires prior arrangements. Please consult the reference staff for more information. 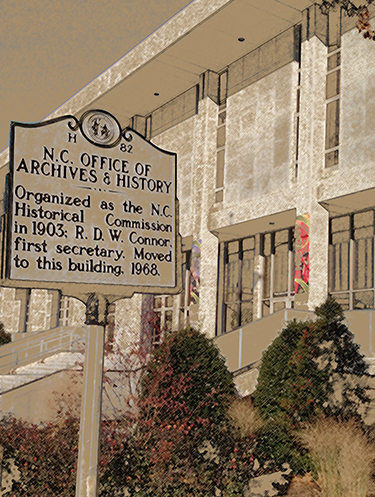 The North Carolina Board of Public Welfare began under the name of the Board of Public Charities in 1968, which became the State Board of Charities and Public Welfare in 1919, then the North Carolina Board of Public Welfare in 1945. The duties of the Board have included work in fields such as child welfare, public assistance, correctional and penal institutions, and juvenile problems. R. Eugene Brown was a member of the North Carolina Board of Public Welfare who became Commissioner of the Board in 1963 with the appointment of Ellen Winston as the first Federal Commissioner of Welfare. During his time on and as Commissioner of the Board, he served on the Eugenics Board and on the Committee on the Study of Aging. [Identification of item], State Board of Public Welfare, R. Eugene Brown Papers, 1959-1966 (MARS 97.126), North Carolina State Archives, Raleigh, NC, USA. 1 cubic feet of records transferred from the State Board of Public Welfare on 11 July 1969. Accessioned to the custody of the State Archives on 14 March 1979. Meeting minutes, budget information, memoranda, personnel requirements, and public policy information regarding the State Board of Public Welfare (1959-1966). Meeting minutes, statistics, memoranda, conference information, drafts of publications, and copies of publications regarding the Committee on the Study of Aging (1960-1964).